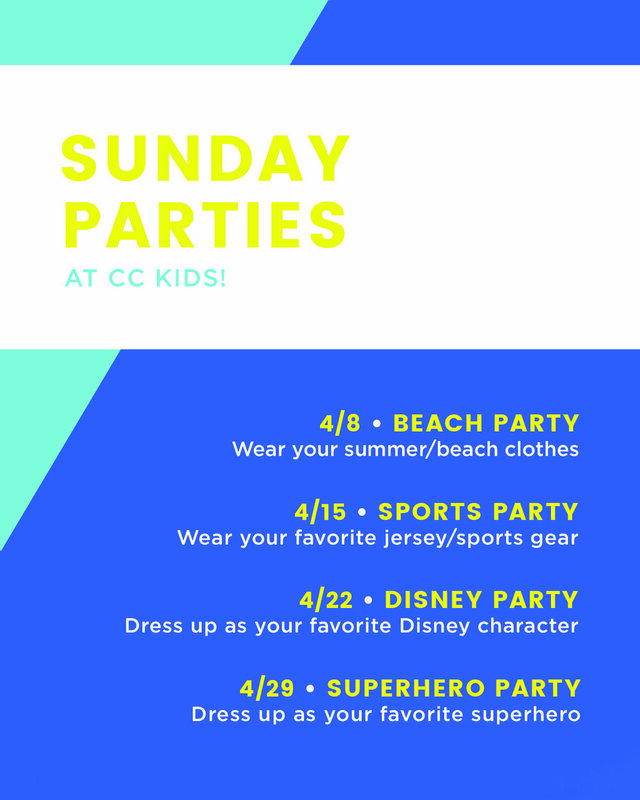 Every Sunday in April, our CC Kids are throwing a party! Check out the theme each week, and make sure you bring your kids dressed appropriately for each activity. This is a great time to invite back the families you invited for Easter, and a great way to get kids engaged with church! Stay after service to enjoy the featured food truck of the week (more info found on our Current Events page).